Monthly Personal & Business Loan available! Having heavy bills We can help S G D 300 to 50000 with up to 48 months installments! 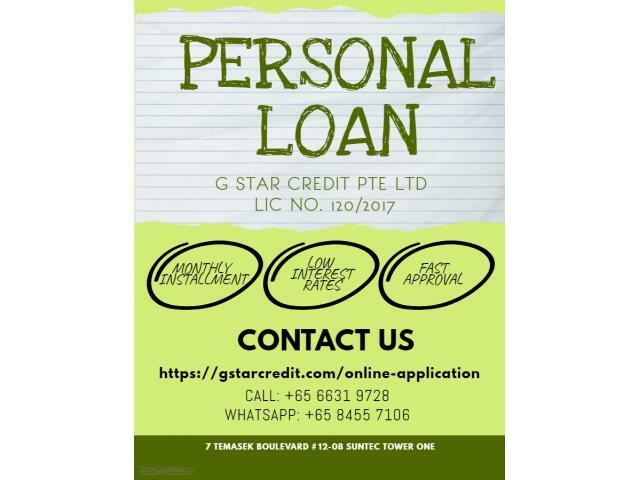 GS Pte Ltd Lic No120/2017 Call +65 6631 9728 Whatsapp +65 8455 7106 visit www.gstarcredit.com or apply at www.gstarcredit.com/online-application!